A Partnership is an association of two or more people to achieve certain common goals, pool money, skills, and other resources, and to share profit and loss in accordance with terms of the partnership agreement. The Indian Partnership Act, 1932 is an act to regulate partnership firms in India. The act is administered through the Ministry of Corporate Affairs. The act is not applicable to Limited Liability Partnerships, since they are governed by the Limited liability Partnership Act, 2008. Two color photographs of all partners. Id proof of all partners like Pan card, Aadhar card etc. Current office address proof like valid rent agreement, property document, noc from the landlord (if rented). Proposed name of Partnership and nature of business. A limited liability partnership is a new form of legal business entity governed by Limited Liability Partnership Act 2008. This is the business form that would combine the flexibility of a partnership firm and the advantages of a company having limited liability. LLP allows its members the flexibility of organizing their internal management on the basis of a mutually arrived agreement. It is useful for small and medium enterprises as it has less compliance requirement as compare to company. It is a corporate body as well as legal entity separate from its partners. It has perpetual succession. It gives the benefits of limited liability of partners that would limit up to their share only. LLP would allow its members the flexibility of organizing their internal structure as a partnership based on an agreement. No partner would be liable on account of the independent actions of other partners. LLP shall maintain annual accounts. However, audit of the accounts is required only if the contribution exceeds Rs. 25 lakhs or annual turnover exceeds Rs.40 lakhs. 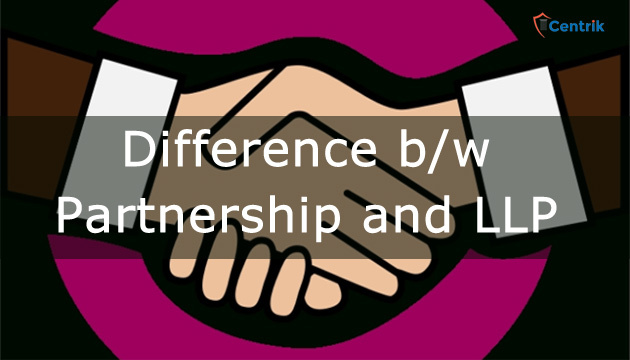 An LLP is to some extent similar to a partnership business, apart from the fact that individual members have limited liabilities to any debts involved, compared to the usual partnership business. Apart from this, LLP is more regulated form of business and has more compliances as compared to partnership as it is regulated by Ministry of corporate affairs. Decide on the Partners and the Designated Partners. Obtain a digital signature certificate of all Partners. Obtain Designated Partner Identification Number (DPIN) of all partners. Decide on the name of the LLP and check whether it is available. File the LLP Agreement, incorporation documents and obtain the Certificate of Incorporation. Passport Size photo of all partners. ID and Address proof like PAN and Aadhar of all Partners. Name of the proposed Partnership and nature of business. Address proof of office of LLP. Other information like capital requirement, Profit sharing etc. Filling of Annual compliances with Registrar of Company.